You want to know why some people have great successes and others consistently fail? 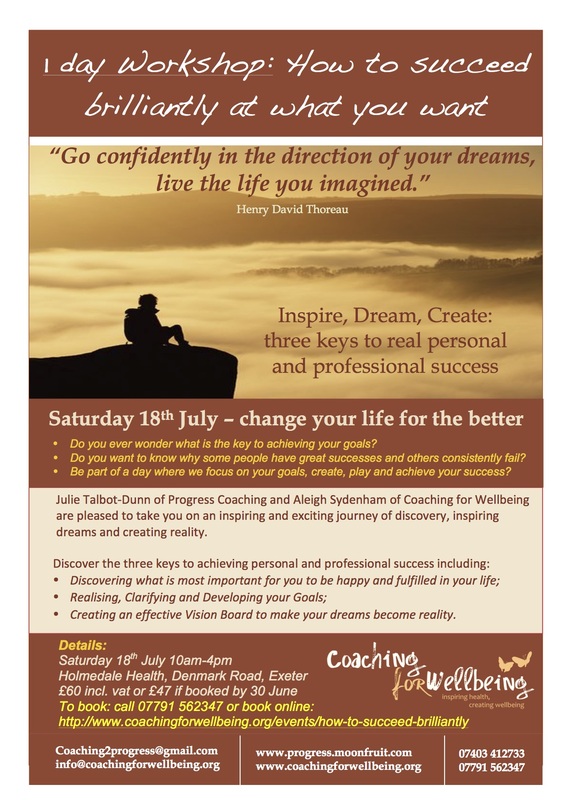 You want to Be part of a day where we focus on your goals, create, play and achieve your success? Creating an effective Vision Board to make your dreams become reality. The day promising to be full of inspiration, exciting and possibility, plus lots of colouring, playing, cutting out and sticking! We look forward to seeing you on 18 July.